Jobs Description: PPSC Advertisement 12/2019 is given below on our site. Visit our site to view PPSC Advertisement 12/2019. 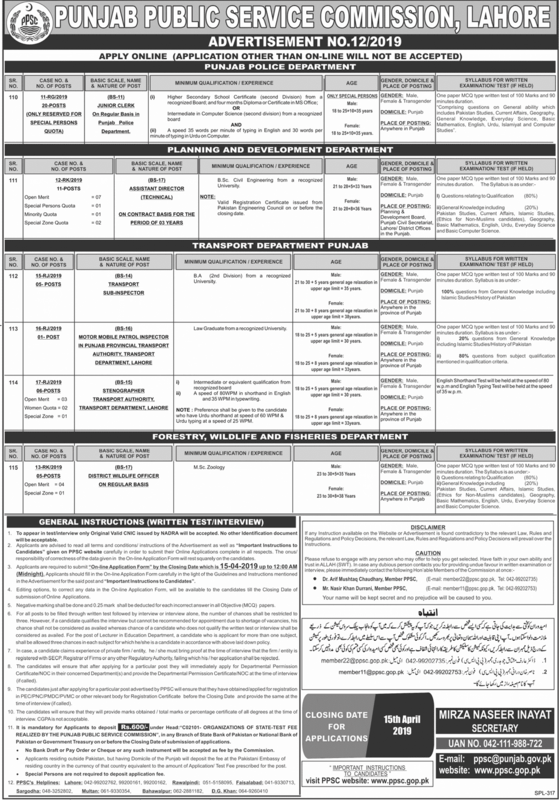 Punjab Public Service Commission recently announced an advertisement for Jobs in Punjab Police Department, Planning & Development Department, Transport Department, Foresty, and Wildlife and Fisheries Department.